Tony Hachem has spent the last two years doing something that no other poker player in the world accomplished in that time. He won a Player of the Year award two years in a row. He took home the honors for PokerStars Australia New Zealand Poker Tour Player of the Year for both the first and second seasons of the tour. His brother Joe Hachem may have won the world championship in Las Vegas but Tony has established himself as the man to beat down under. Tony has made four ANZPT final tables and his biggest single triumph on the tour came when he won the ANZPT Perth main event in March, 2010. That victory was the first title of the Team PokerStars pro’s career and it netted him $121,770 in prize money. Card Player caught up with Hachem in Australia and he talked about his approach to consistent tournament success as well as his take on the Australian poker scene. Ryan Lucchesi: It’s hard enough to win one player of the year title let alone two. How do you feel about the consistency of your poker game these past two years? Tony Hachem: I’ve developed my game knowing that it is hard not only to win tournaments but also to cash. My strategy is to play well and pick the right spots. In crucial hands, if I think I’m behind I will fold. I think the important thing is to have a strategy and maintain consistency. To go deep in tournaments is one thing but to get the results that everybody wants is to win. You need to have a game plan and that is what I developed, a pre-game strategy. But the game is evolving everyday. You can’t play the same way against these young kids. The new thing now is three-betting and raising on the button isn’t that strong anymore. I maintain consistency in my success by picking my spots and it has paid off. Back in Darwin we were down to 14 players. I was in third in the POY so that meant I had to finish 12th to get from third to first so I laid down kings preflop, and I had it right because one player had pocket aces under the gun. The second time my goal was to cash in to get to first in POY, a guy who was second or first in chips had moved all in and I would have had to risk my tournament life. I don’t need to get involved with that, I was two away. There were 14 players to go, and rather I was wrong or right, I don’t know. I folded the kings again [Hachem finished in 10th place to win his second POY award]. That was the right decision for me, because I had so much to play for whereas another player would have snapped the all-in call. I think gathering all of the information in a situation is very important. RL: How important has the ANZPT and Aussie Millions been for the growth of poker here in Australia? TH: PokerStars has done a magnificent job, and the Crown Casino is behind the ANZPT as well. They are looking at creating another major event to complement the Aussie Millions. These are great events for two reasons. The Aussie poker players are passionate and there are so many good online and live players. You have world champions from here. Besides Joe being a world champion you have Jeffrey Lisandro who has won five World Series bracelets, you have Mel Judah who has played with Stu Ungar and some of poker’s greats, you have Lee Nelson who has won the Aussie Millions. They’re all from Australia and you have young guns like Jonathan Karamalikis and James Obst. We have some of the best online players in the world. I think Australian poker is only second to the States. You have to remember that we didn’t grow up with Texas hold’em poker. Since Joe won it and with the boom we now have over 150 pubs playing poker, and just in Australia alone we get 250,000 people playing online. We have over two millions people playing across Australia in pubs, clubs, and home games. 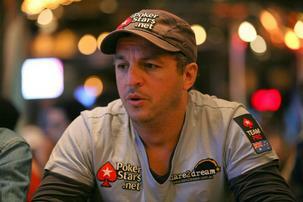 We have international cricket celebrity Shane Warne and he puts on celebrity charity poker tournaments. We also have charity poker tournaments for the Prostate Cancer Foundation of Australia, and now PokerStars wants to make it a yearly event. We as poker players need to give something back. And there a lot of boxers, football players, soccer players who want to get involved, everybody loves the game. It is more than just a sport, poker, it’s a grand sport. I hope to see that one day that major companies here get involved to sponsor the game. There are a lot of things happening with poker here.